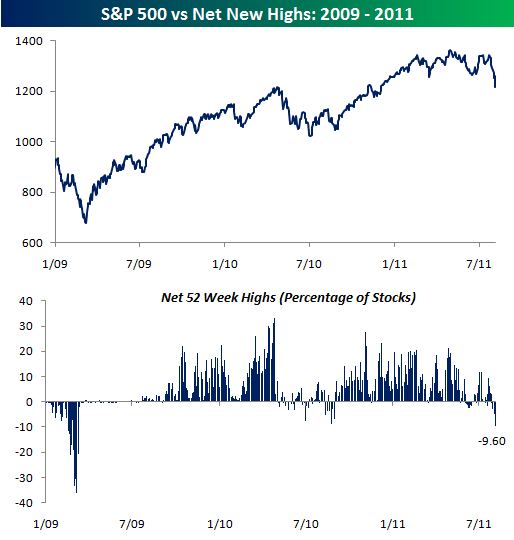 Pretty interesting statistic by Bespoke Invest - today is showing the most 52 week lows in the S&P 500 than anytime since 3/9/2009. 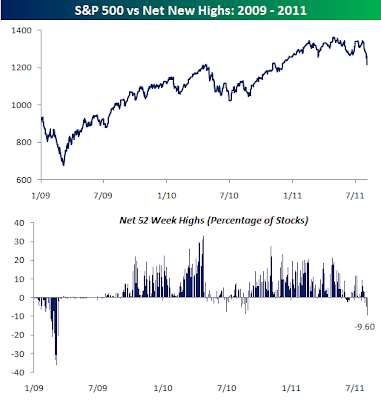 Unless we do a 'crash', there is a great buying opportunity close here. The market was tricky today - it broke through the earlier morning lows, and flushed out people like me who stop loss when that happens. Now we are back to 1221ish on the S&P 500. So one could say a 'double bottom' intraday has been created, although a tricky one. I'll be watching these last 50 minutes closely.